What’s easier than a cookie and even more delicious? 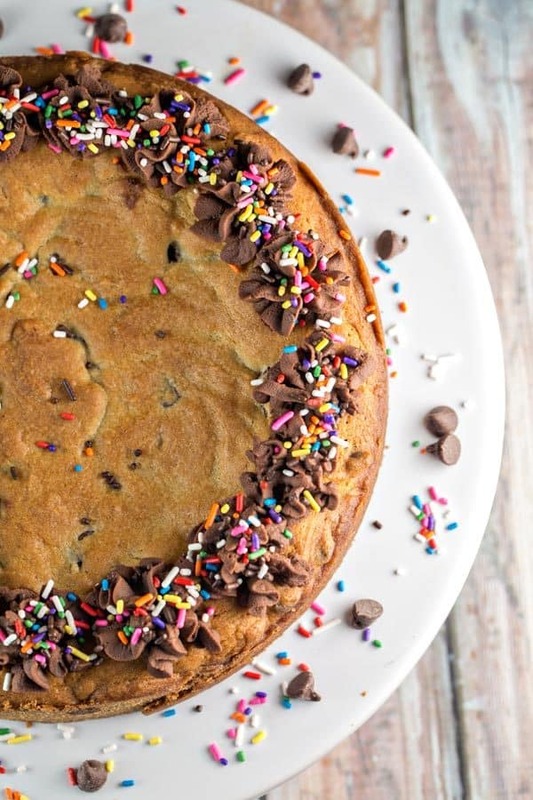 A giant chocolate chip cookie cake! 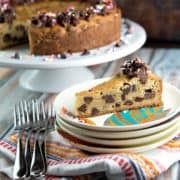 Skip rolling individual cookies and bake a pie-sized cookie cake with a soft and chewy center: perfect for celebrations! I’ve said it before, and I’ll say it again: when ranking cakes, the hierarchy is very clearly ice cream cake >> cookie cake >> regular cake. No hate meant to regular cake (after all, you know I’m more than a little bundt cake obsessed) buuuuut…. well… ice cream cake is the best kind of cake, obviously. And then cookie cake. I’ve shared two different cookie cakes on here before: a peanut butter cup cookie cake and a leftover candy cookie cake. Today, let’s take a step back for a true classic…. 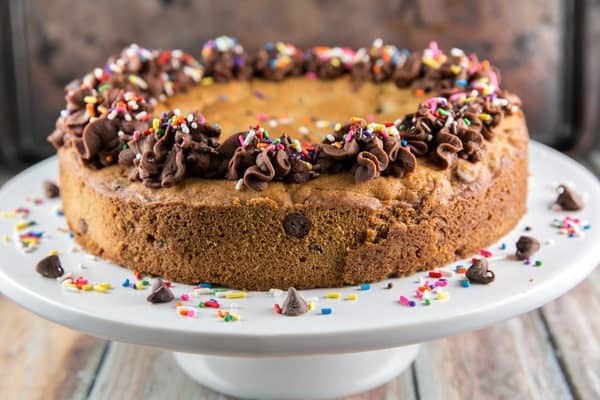 a plain and simple chocolate chip cookie cake. Well, maybe not classic since my version contains a little bit of an off-the-radar ingredient: cream cheese! That’s right, we’re going to add a little cream cheese into our cookie cake to keep things extra soft and chewy and delicious. Unexpected? Yes. Totally worth it? Absolutely. Just as a reminder (and so no one is disappointed), this is a cookie cake. It’s not a giant cookie. Those do exist — and they are delicious. But a thin, large, flat cookie cooked in a skillet or on a pizza stone is not a cookie cake. This is a little thicker, chewier, and more… cakey. You know, like a cake should be. It’s also super thick, because hi, if I want a slice of cookie cake, I want a real slice with some volume. Here’s what’s so great about cookie cakes: the edges, top, and bottom get just a little bit crispy. But the middle: pure soft, chewy, cookie heaven. I like to pull mine from the oven when it just feels a teeny tiny bit undercooked; the cookie will continue to retain heat from the pan and cook the whole way through, but it stays extra soft in the center. I always opt for a whipped chocolate ganache frosting for cookie cakes. 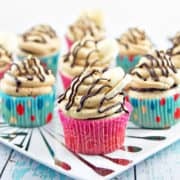 It’s so much richer and better than American style buttercream frosting – so much so, that I find it overwhelming for a whole cake. But a little ring around a chocolate chip cookie cake? Perfection! 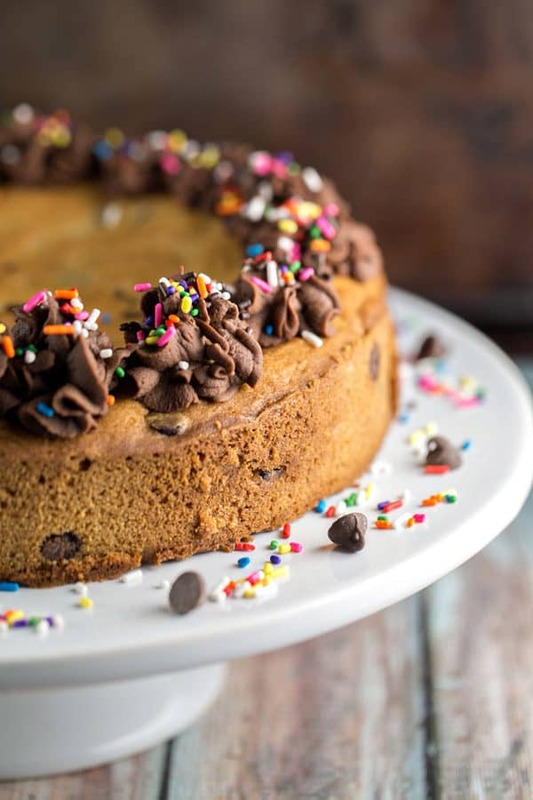 The only flaw of the chocolate chip cookie cake is that you have to let it cool before slicing, so you miss out on the fresh out of the oven, warm and melty chocolate. But you can remedy this easily: pop a slice in the microwave for 20 seconds before eating it. The ganache frosting will melt a little, too, but who ever complains about some melted chocolate? Not me, that’s for sure! What’s easier than a cookie and even more delicious? 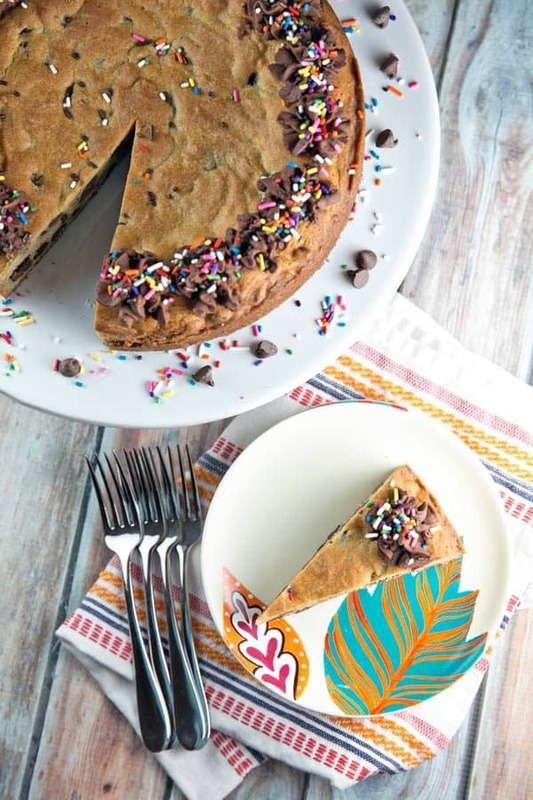 A giant chocolate chip cookie cake! Preheat oven to 350 °F. Grease a 9-inch springform pan or cake pan. Using an electric mixer, beat together the cream cheese and butter on medium speed until well combined. Add in the brown sugar and sugar and continue to beat on medium speed until light and fluffy, 3 to 5 minutes. Add in the eggs, one at a time, followed by the vanilla extract. Turn the mixer speed down to low and beat in the baking soda, salt, and flour, mixing until just combined and no streaks of flour remain. Fold in the chocolate chips. Press the cooke dough into the prepared pan, evening the top with a spatula or the back of a spoon. Bake for 20-25 minutes, or until the cookie cake is golden and baked through. Cool the cookie cake in the pan on a wire rack. While the cookie cake is baking, combine the heavy cream and chopped chocolate in a small saucepan over medium low heat. Cook, stirring constantly, until chocolate is melted and smooth. Set aside to cool to room temperature. Once cookie cake is cool, whip the chocolate ganache using the whisk attachment of a mixer on medium speed until the whipped ganache just begins to hold its shape (do not over whip). 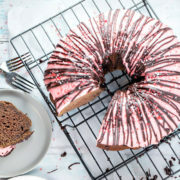 Remove the cookie cake from the pan, pipe or spread on the whipped chocolate ganache frosting, and decorate with sprinkles. What a perfect combination. Cookies and cake all in the same bite. I am looking forward to trying this recipe. 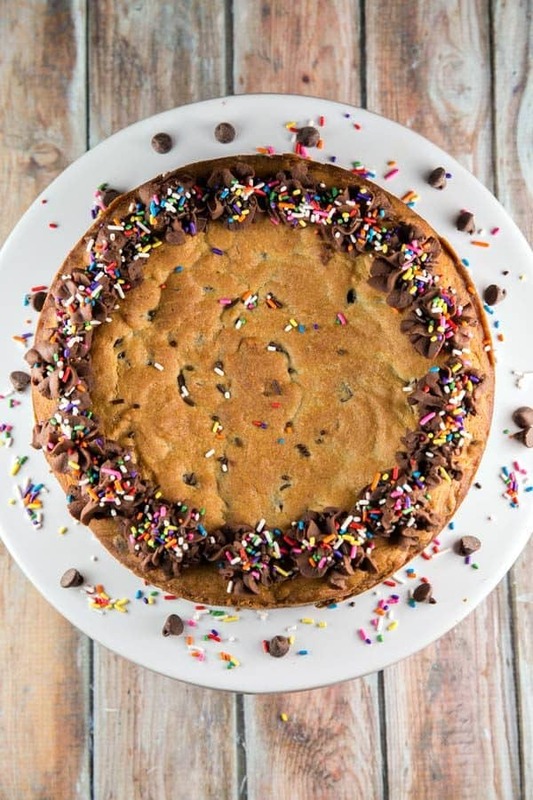 This cookie cake is making me wish that it was my birthday! I love how it looks crunchy on the outside and soft on the inside. Yummy! Best of both worlds! I would love to make this. Cookies. Cake. Dessert. All three things are right up my alley. This is awesome. You are a mind reader! I have been dreaming of a cake like this…it sounds fabulous and I bet it’s wonderfully soft because of the cream cheese. I love the way you styled it too. OH, wow! THIS. Gosh, this recipe looks amazing! Seriously wish it could come out of the screen and into my kitchen right now 😉 Going to try it out soon! Oh my yum! I can’t wait to try your recipe! I think this would be great for a birthday! I cannot get over how delicious this cake looks. Seriously, my mouth is watering over here! My husbands birthday is this week and he actually requested a cookie cake…I think this would be perfect! Thank you for the recipe! 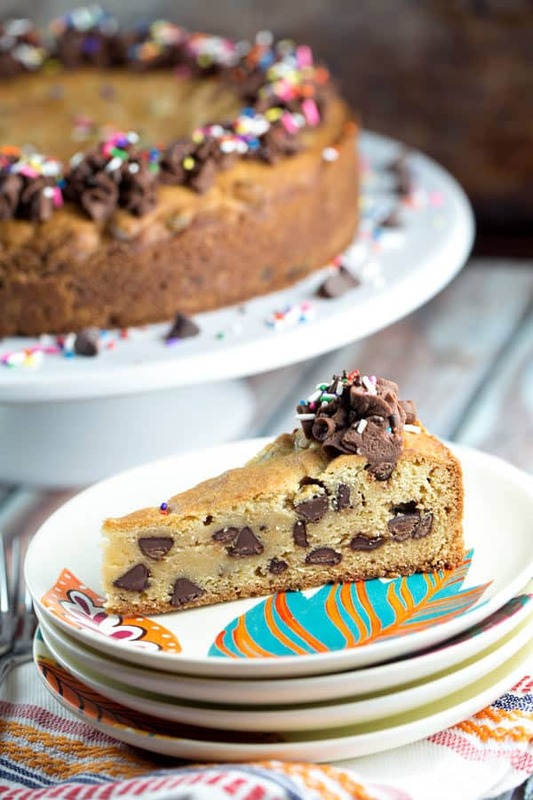 I have yet to make a chocolate chip cookie cake and that changes now! This is super easy and delicious! I love the addition of the cream cheese. It is a great flavor enhancer! I have my niece next weekend. This is our Saturday bake project! OMG! This is brilliant. You have my favorite dessert in a cake. 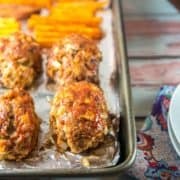 I am definitely trying out this recipe! Thanks for sharing.